If you’re looking for toilet hire for Christmas parties, Site Event can help. 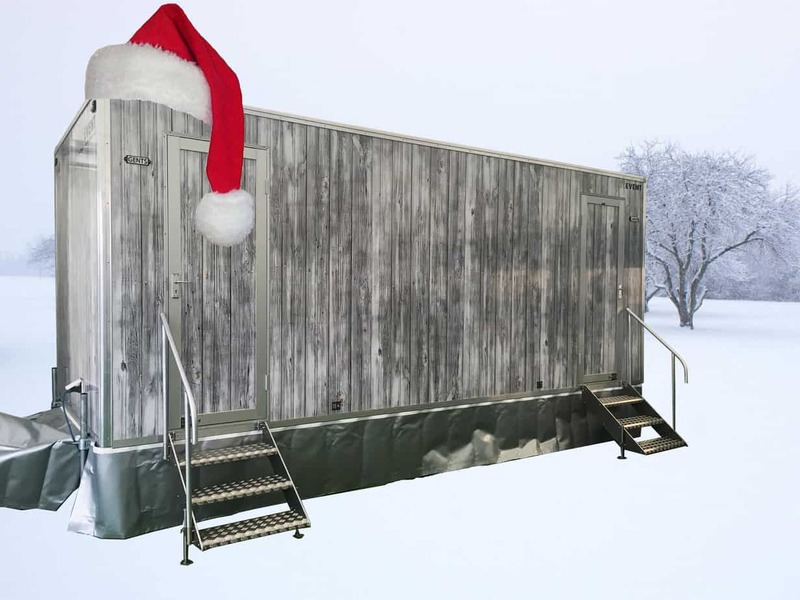 We offer a range of different portable toilets and luxury trailers that offer an answer to your welfare needs at Christmas parties. If you’re looking to organise a showstopping Christmas party for your staff or for your friends and family, have a look at our range of toilets which offer a variety in welfare services. In our Themed Trailer range, we have 7 different options of unique and exciting trailers which each have a theme that is present throughout, externally and internally. The trailers come in a variety of sizes, which can be seen in the image above. These style of toilets would be perfect for creating a talking point at any Christmas party and adding an extra wow factor that your staff would love. 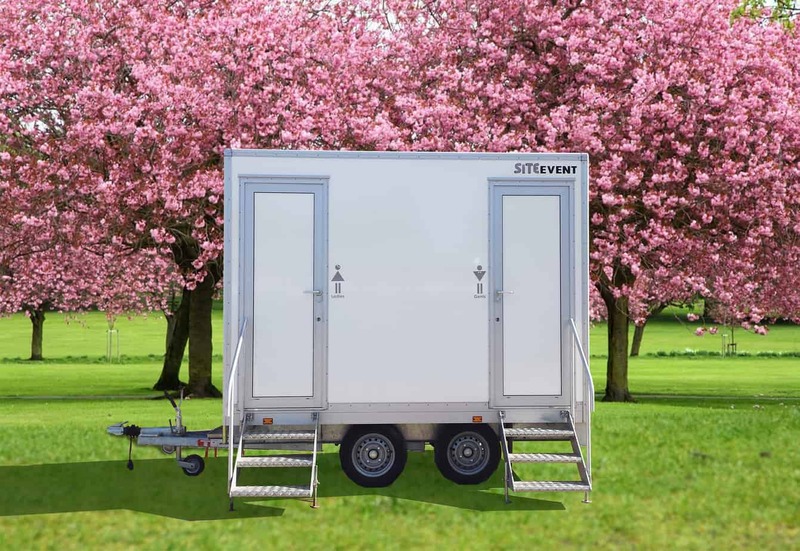 If themed toilets aren’t exactly what you’re looking for, we also have a fleet of Luxury Event Toilet Trailers, which come in a variety of sizes and are perfect for any sized event. 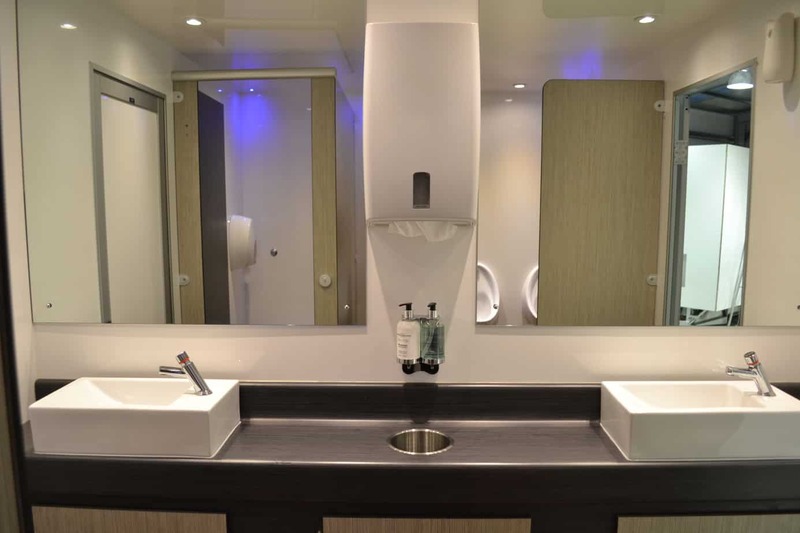 These have a white exterior with luxury fittings internally including ceramic toilets, LED lights as well as luxury hand soap and large mirrors. Please do not hesitate to call our expert, friendly sales team for more information on 01256 384134. Alternatively, you can email us on the address at the top of the page or fill out one of our enquiry forms below. We will get back to you as soon as possible!